Aria Fae is the main character. She's the hero and the narrator. She's a seventeen-year-old girl who's half-human/half-fae, but who was raised in the human world by an organization run in a military-type fashion. In some ways, Aria is very much a normal teen—she likes video games and wears skate shoes and has a current-day humor about her. In other ways, however, she's an outcast—different from everyone around her. 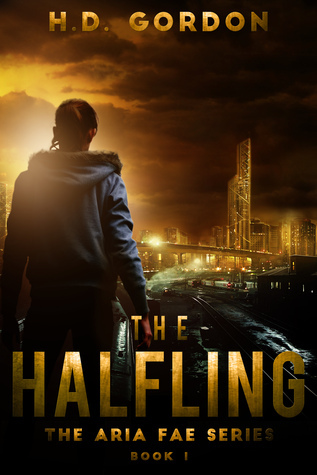 As a Halfling, she's got certain abilities that make a "normal" life impossible. We meet Aria just as she's been cast out of the organization that had provided her entire way of life. She's now alone in the human world. At the new high school Aria is attending, she meets Samantha Shy, a sophomore with mad computer skills, and the two turn into a sort of vigilante team, taking on the issues in Grant City. While there is certainly some romantic interest in book one, the story really focuses on Aria's and Sam's budding friendship, and they get themselves into some serious trouble. My ideal writing spot has little to do with location or scenery or anything like that, and very much to do with the state of mind I've trained myself to fall into. I'm a single mother of two (which I seriously LOVE so much) and so I can write with my girls running and jumping and screaming around me, with the television on, or in complete silence. It's about narrowing my focus, about being able to divert attention and come right back to the page. And morning time is best for me, after a good night's sleep. The best advice I've been given has been to myself. That may sound silly, but let me explain. Writing is a solitary profession at its core, and there will be times when you get so low you'd swear hell was above you, and no one can pull you out of that but you. In the words of RA Salvator, If you can quit, then quit. If you can't, then you're a writer. That, and always strive toward constant improvement and growth, in all aspects of your product. I'm always trying to get better formatting, cleaner writing, better advertisements, images, and covers. Especially as an indie, and the primary creator of my books. I didn't know. I always wrote. Like, always. But I never really thought about doing it for money. As a child, I was oversensitive, prone to anxiety and depression, and writing was what I did when the world made no sense, or was threatening to break me. Now that I'm older, and better at life in general, I write for myself and others. I feel as though writing was always where I was meant to end up. Like the inevitable return home. I feel like the default answer to this is paperbacks, but in honesty, the advent of e-books has changed my whole life. I probably wouldn't be published without them, and no one will have ever read my work but my mom. Also, I'm a big fan of trees, and even though I love a beautiful paperback as much as the next nerdgirl, I like that e-books don't require any tree-chopping. So, boom! I'm a rebel! Give me the e-books! I think I would choose super speed. One, because The Flash and I are totally in love (or it could just be me) and two, because it would offer the ability to manipulate time, which is both terrifying and irresistible. I just started Miss Peregrine's Home For Peculiar Children, since the movie is coming and I like to read books before the movies come out, and I like it very much so far! Excited to keep going. It isn't a laughing matter when Diana starts to see things in the mist which other people don’t: monsters, gods, and deadly shadows. Yet now she sees another thing, the world of the Impetus, a reality where humans are enslaved and the once-beautiful gods are actually tyrants. Diana must find a way to escape before the exiled king Fear, a vengeful murderer, hunts Diana down It isn't a laughing matter when Diana starts to see things in the mist which other people don’t: monsters, gods, and deadly shadows. Yet now she sees another thing, the world of the Impetus, a reality where humans are enslaved and the once-beautiful gods are actually tyrants. Diana must find a way to escape before the exiled king Fear, a vengeful murderer, hunts Diana down to get back something she's stolen from him. But will her growing feelings for the Prince Isak, the oddly sullen god of comedy, draw her into an all-out war? 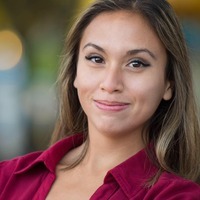 Sophia Whittemore is a multiracial author with an Indonesian mother and a Minnesotan father. 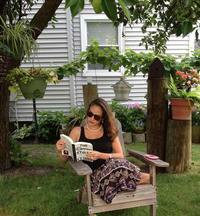 She penned THE FUNNYMAN during her sophomore year of high school at Benet Academy and published it as a senior. Her love for the English language manifested itself in eighth grade when she went to the Scripps National Spelling Bee and has continued with other languages such as Spanish and Indonesian. Her prior publications include "A Clock's Work" in a Handersen Publishing magazine, "Blind Man's Bluff" in Parallel Ink, and winning awards in the Best Midwestern Writing competition for high school writers. 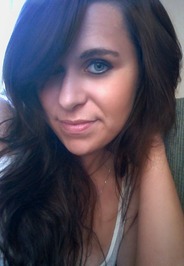 She currently resides in Chicago, Illinois with her family and food- loving mini schnauzer called Tiger. Drawing on inspiration from her two cultural backgrounds, Sophia lives a life playing tennis, traveling, and writing about her dual life experiences through other characters in her works or on her blog. Well, I have two main characters. You have the teenage Diana Cato of half-Indian descent who has an artistic soul while still being strong-willed. She walks the line between gods and men, curious about the secrets hidden within her past. Then there's Prince Isaakios, the boy king who seemingly doesn't want to inherit the throne, choosing to flirt his way across the Earth with human women instead. But there's also a deep pain hidden within him, some dark past that Diana senses within him. She wants to heal him, and he wants his freedom. But freedom from what or who? 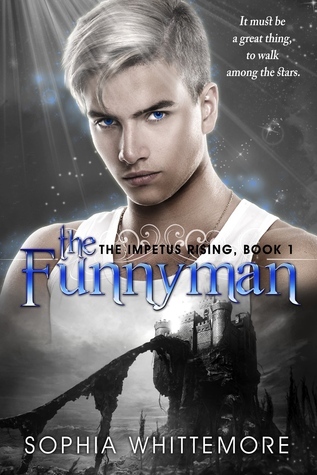 My cover artist for "The Funnyman" was Amanda L. Matthews, who my publisher Stephanie Taylor found through Clean Reads. The process was smooth and transitioned well from my mind to the picture. I emailed them details about the picture I had in my head about my characters and the theme and mystique I wanted surrounding it, and everything was put together perfectly. It's startling to see how the images and descriptions inside your head translate in the real world, but it's well worth it. My ideal writing spot is next to an open window, with sun filtering down onto my laptop and journals. My books surround me, a smell of light perfume in the air. Summer croaks gently outside, the wind wafting inwards along with the light of an benevolent sun, the warmth of midday. "It's gain theory. You have everything to gain, and nothing to lose. So go for it." I wanted to work in Hollywood. Only later on did I discover how my love for the silver screen translated into a love for the stories on the silver screen to a love for writing those stories down onto paper. I love stories, any kind, scripts or novels or poetry. They're all wonderful to me. They're different mediums. Hardcovers put less strain on my eyes. However, if I want to "binge read" and check out as many works as possible in a short amount of time, then Ebooks are the way to go. And if you have the right reading device for you, there's no strain on your eyes at all. There's a whole literary world at your fingertips, and there's something very appealing about that. Although, you can't go wrong with tradition, either. I am a big fan of Julie Kagawa's writing. I loved her Iron Fey series and Blood of Eden series so when she wrote a series about dragons I knew I had to read it. Rogue is the second book in that series and I was lucky enough to receive a copy from NetGalley for review. I would advise reading the first book Talon before this one. Rogue begins where Talon ended. Ember Hill escaped from Talon, the dragon organization, with the help of Cobalt a rogue dragon and Garret, a St. George solider whose mission is to kill all dragons. Garret went against all of his training to save Ember’s life. Now, it is her turn to save his since he is scheduled for execution due to his betrayal of St. George. Can Ember save Garret before it is too late? Rogue is an action-packed story with love, loyalty, hatred and betrayal. Who will Ember choose Cobalt who appeals to her dragon side or Garret who stirs emotions she didn’t know she had? Love triangles don’t bother me and to be honest I wasn’t sure who Ember should choose either. I enjoyed learning more about both Talon and St. George also why Cobalt decided to go rogue. This was an enjoyable read and I am looking forward to the next installment. And Ness Kimler just broke the rules. Born to the great northwest, I grew up submerged in fairytales, monster stories, and legends. At seventeen I wrote my first book, which later became the YA epic fantasy, MARKINGS. My other works include YA paranormal novels PREDATOR GIRL and my self-published novel, A TASTE OF SILVER. 1. Tell us about your main characters. 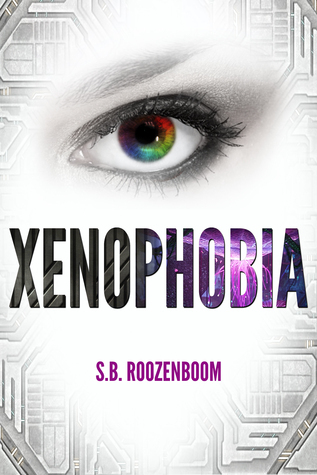 Xenophobia follows the story of Ness Kimler, a teenager living in the New USA, one of few nations left after the war between aliens and humans in 2012. While the wars ended two hundred years ago, she is faced with her own battle of trying to decipher her cryptosyms -- the symbols in her skin that will determine her future -- as well as dull her constant fear of the Great Fence, the border that separates humans from alien life. Everyone tells her she shouldn't fear the Fence as it is well monitored and enforced, but if that was the truth she would never meet Tevire, an alien boy who has trespassed onto her side of the world. WiDo Publishing has designed all of my book covers (with one self-published exception) and they have always done a beautiful job. The first time I saw my book cover for Xenophobia I was sitting behind my desk at work and squealed like a piglet, much to my coworkers' surprise, because I was finally finished. After 3 years of writing and rewriting and fighting to make the book as amazing as possible, Xenophobia was about to become a reality. It is truly a phenomenal moment. I think the best advice I have ever received was, "Do it. Do it because you want to. Do it because you can." After my family fell apart, in a way I often felt disabled in life. Not only physically, but mentally. I told myself I couldn't do things because of A, B, C, D, etc... I'm slowly reminding myself I can do all the things I want to do. If I want to get up and go for a walk, I can. If I want to garden even though it's raining, I can. If I want to write a new book, I can. The only person that stops us from making our lives the way we want it, is ourselves. It boils down to us and our choices. If we want to build a better life, we can do it. It's not always easy (actually it can be extremely hard) but nothing is impossible. I was a funny because I always thought I would grow up and be a clothing designer. I was a writer even as a kid but I had convinced myself I would never be good enough to be published (heh) so I had to have another career option... I actually did grow up to be a designer, except I design and sell jewelry, not clothes. My heart will always be in the real thing-- I want to touch my books, smell them, turn them, experience them in a way you never will with ebooks. However, I can say as a rising author it is better to be in the ebook business. You will make more money and you will have a lot more resources. Gosh, I don't know how I would pick one! I suppose I would be something elemental, a white witch sort of being with control over the elements maybe? Either that or I'd like to have the ability to talk to animals. Maybe then I could convince my chihuahua to stop peeing on my kitchen floor. Hah, hah. So much has been going on in my life I haven't be able to finish anything I've started. I think the most recent book I finished was Hyperbole and a Half, an illustrated memoir by Allie Brosh. That has to be my new favorite book ever! It was so funny, so poignant, and so revolutionary for the nonfiction market. I highly recommend!